Simple Servers Review 2019: Is Simple Servers a Good Hosting? 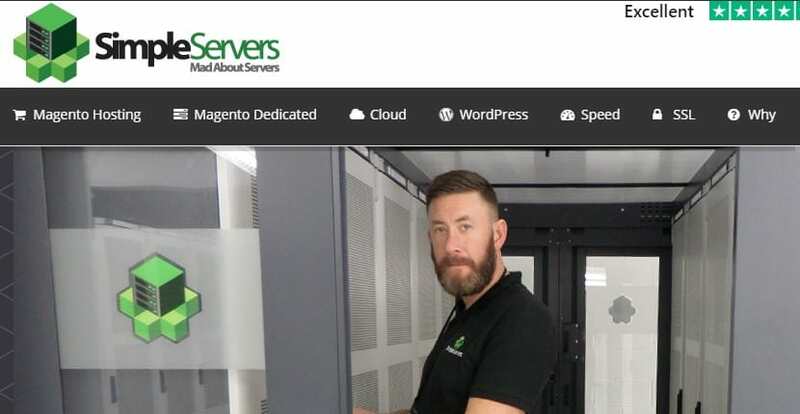 Simple Servers is the Magento hosting brand of choice for many businesses in the United Kingdom. They use their own powerful servers located in various data centres in Europe and the United States to provide exceptional web hosting solutions. For over 15 years, Simple Servers has been a premium Magento hosting provider in the United Kingdom. Yet even though they’re based in the U.K., their services aren’t confined to its borders: they have a worldwide network with sub-sea routes into international hubs like New York City and Frankfurt. With a clear, laser-like focus on excellent services and pocket-friendly prices, the company has captured the imagination of many users with their Magento e-commerce hosting solutions. They own and operate all of their data centers, which means when they promise their customers a 100% connectivity guarantee, they definitely have the capacity to deliver this. Whether you’re hosting a small webstore or a high-traffic online megastore, Simple Servers has all it takes to provide unique, secure, and speed-optimised hosting solutions. They’re self-proclaimed “fanatical experts in Magento” and they spend most of their time tweaking their systems to provide you with the fastest and most reliable Magento platform you’ll ever find. Their most basic Magento plan is the M Core, which offers you 900MB RAID 10 SSD storage, 3GB monthly bandwidth, 5 email accounts, and 1 MySQL database. This plan doesn’t come with a free Magento installation, the one-click app installer, or R1Soft’s near-continuous server and database backup system; you’ll have to opt for at least their M Power plan to get those. Taking into consideration the number of features that Simple Servers includes in each of their packages, it’s quite accurate to say that their hosting plans are reasonably priced. Plus, unlike most generalist hosting providers, they specialize wholly in Magento and are thus able to offer a level of support for the platform that is unparalleled in the industry. Because this vendor’s servers are not fully packed with accounts, they are able to increase PHP levels and timeouts with ease. This allows their Magento websites to work efficiently and keep delivering excellent performance despite anything you might throw at it. The Simple Servers technical support team deserves a thumbs up. When I contacted them via live chat, the person I spoke to immediately gave me step-by-step instructions on how to resolve the challenge I’d presented. I saw this same level of professionalism when I contacted them via email as well as the contact page on their website. The one thing I was slightly put off by was when the chat required me to first add some personal information and explain the issue before I could get connected with a support representative. Afterwards, however, the rest of the process went smoothly. The technical team was highly responsive and accurate in the information they provided. Simple Servers is committed to offering outstanding Magento hosting solutions for small and large businesses alike. The company leverages their incredible specialization and many years in the industry to provide excellent Magento hosting solutions to customers around the world. Wondering how Simple Servers stacks up against other Web Hosting companies? Enter any other Web Hosting company and we will give you a side-by-side comparison.